Below are some suggestions for strength exercises that can be done with little or no equipment. Together these exercises provide you with a workout for every important muscle in your body. That said, feel free to add other exercises to your routine as you see fit. Each exercise has a number of intermediate levels (with difficulty increasing from 1 to 3) that help you build up to the main exercise. Start at the level that best suits your current fitness level and progress to the next level only when your body is ready for it. Don’t rush, this is not about getting somewhere fast. Rest on hands and toes. Keep your body straight and your core muscles engaged. Do as many pushups as you can. 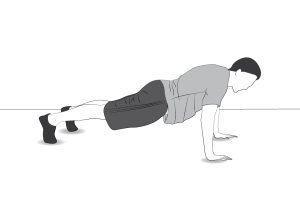 Stand about 3 feet from a wall, then do your pushups standing up against the wall. 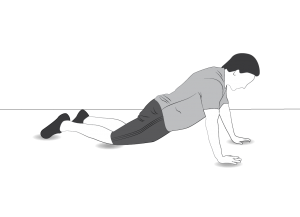 Get down on your hand and knees, then do your pushups with knees on the ground. 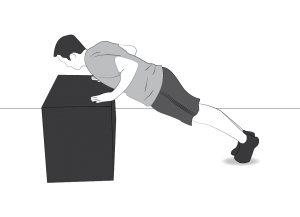 Place your hands on a bench and your feet on the ground, then do your pushups. 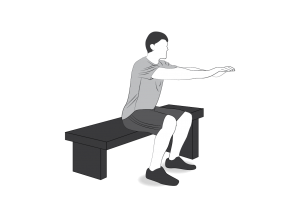 Lower the bench to increase the difficulty. Stand comfortably with your feet slightly apart and facing outwards, the squat down. Keep your core muscles engaged. 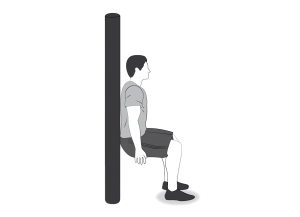 Put your back against a wall or pole. 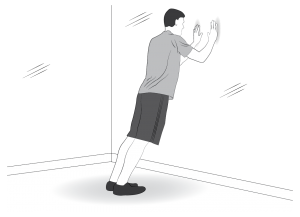 Do the squats with your back sliding along the wall. Stand facing a pole or doorpost. Hold onto it, then do your squats. Place a bench behind you. On each squat, touch the bench before you go back up. 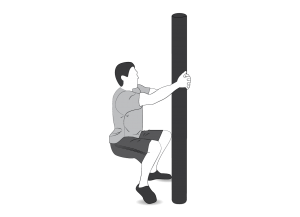 Grab the bar at a little more than shoulder width. Use an overhand grip for pullups and an underhand grip for chinups. 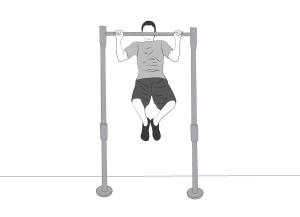 Put a box or chair under the pullup bar. Pull up keeping both feet on the box. Don’t push with your legs. Put the box or chair slightly to the side. Pull up keeping one foot on the box. Don’t push with your legs. 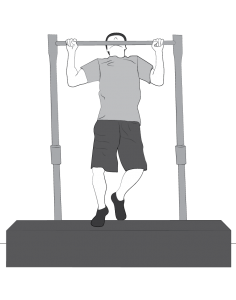 From a level 2 pullup, lift your feet off the box, hold for 2 seconds, then gradually lower yourself down. Rest on your elbows and your toes. Keep your body straight and your core muscles engaged. Hold for as long as you can. 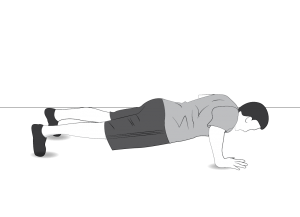 After each plank, do a side plank on each side. 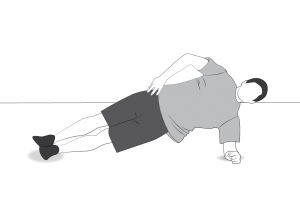 Rest on one hand/elbow and one knee/foot (same pair as you used for the plank). 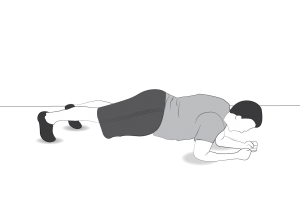 Rest on your knees and hands, then do the plank exercise. 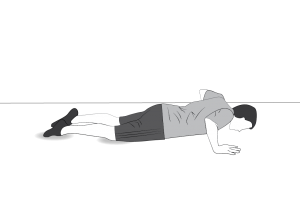 Rest on hands and toes, then do the plank. Alternatively, rest on your knees and elbows.